| What is the Governor’s Pardon in California? What is the Governor’s Pardon in California? 30 Mar What is the Governor’s Pardon in California? Requests for clemency, such as a pardon or for commutation of a sentence, are made to the governor of California by application from the convicted person. If the crime was prosecuted in California as well as the conviction, then the governor handles all requests for a pardon. Federal crimes and requests of clemency for a pardon or a commutation of a sentence must come from the President of the United States. The application for a pardon goes to the Governor and to the District Attorney (D.A.) of the county where the crime occurred and was processed through trial and conviction. The D.A. then makes recommendations to the governor and the governor then sends the case to the Board of Parole Hearings for investigation. The final step is to process the request through a majority vote of the California Supreme Court. All Governor’s requests of clemency (pardons, commutations, reprieves) are covered by Section 8 of Article 5 of the Constitution of California. The California Supreme Court can refuse to accept the request for a pardon for their own reasons, which are not always made public. This is done through a majority vote of the sitting judges and was a recent event in California in December of 2018. In other circumstances, when further investigation of older crimes show that the convicted person was proven innocent, due to DNA tests not available at the time of the conviction, the court is far less likely to deny a pardon. The recent case of Craig Coley, who was deemed wrongfully convicted of a 1978 double-murder, and was released from prison, received a pardon from then-Governor Jerry Brown of California. Coley, who was imprisoned in 1980 with a sentence of life without parole, always maintained his innocence, and he finally appealed to Governor Brown for clemency in 2015, according to a Reuters.com article published in November 2017. An in-depth investigation began, including testing of stored DNA samples from the crime scene. The results showed that other people’s DNA was found at the scene and on a specific object of evidence, but none from Coley. That a felony conviction was a one-time occurrence. The California Supreme Court may also recommend a pardon for some cases that have more than one felony conviction. The application is then submitted to the governor along with the reasons why the court is making the recommendation. The governor is not obligated to proceed with approving any pardons unless the case is compelling enough. It is also possible, depending on the nature of the crime and the type of conviction, that the person may be eligible to apply for an expungement of the case. 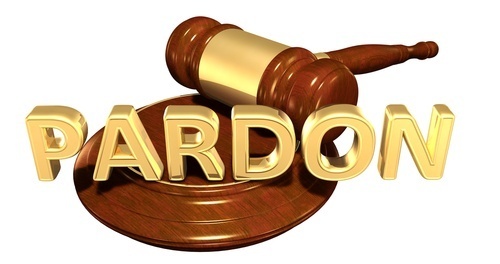 In effect, when this occurs, along with a pardon, the person can start a new life.